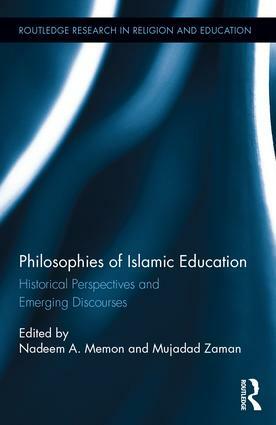 The study of Islamic education has hitherto remained a tangential inquiry in the broader focus of Islamic Studies. In the wake of this neglect, a renaissance of sorts has occurred in recent years, reconfiguring the importance of Islam’s attitudes to knowledge, learning and education as paramount in the study and appreciation of Islamic civilization. Philosophies of Islamic Education, stands in tandem to this call and takes a pioneering step in establishing the importance of its study for the educationalist, academic and student alike. Broken into four sections, it deals with theological, pedagogic, institutional and contemporary issues reflecting the diverse and often competing notions and practices of Islamic education. As a unique international collaboration bringing into conversation theologians, historians, philosophers, teachers and sociologists of education Philosophies of Islamic Education intends to provide fresh means for conversing with contemporary debates in ethics, secularization theory, child psychology, multiculturalism, interfaith dialogue and moral education. In doing so, it hopes to offer an important and timely contribution to educational studies as well as give new insight for academia in terms of conceiving learning and education. Nadeem Memon is Director of Education at Razi Education, Ontario, CA. Mujadad Zaman is Visiting Research Fellow at the Center for Islamic Theology, University of Tübingen, Germany. The Routledge Research in Religion and Education series aims at advancing public understanding and dialogue on issues at the intersections of religion and education. These issues emerge in various venues and proposals are invited from work in any such arena: public or private education at elementary, secondary, or higher education institutions; non-school or community organizations and settings; and formal or informal organizations or groups with religion or spirituality as an integral part of their work. Book proposals are invited from diverse methodological approaches and theoretical and ideological perspectives. This series does not address the work of formal religious institutions including churches, synagogues, mosques, and temples. Rather, it focuses on the beliefs and values arising from all traditions as they come into contact with educational work in the public square. Please send proposals to Mike Waggoner (mike.waggoner@uni.edu) and Matthew Friberg (matthew.friberg@taylorandfrancis.com).